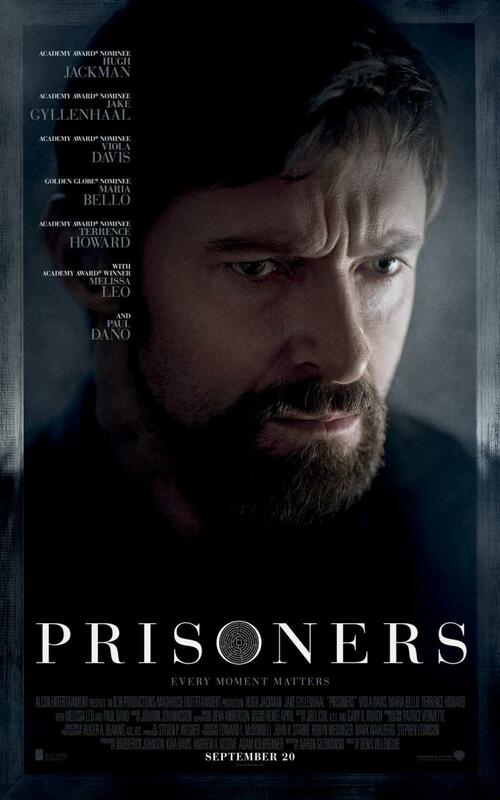 Hugh Jackman, Jake Gyllenhaal, Paul Dano and Melissa Leo star in the abduction thriller Prisoners coming to Blu-ray, DVD, UltraViolet Combo Pack on December 17, 2013. 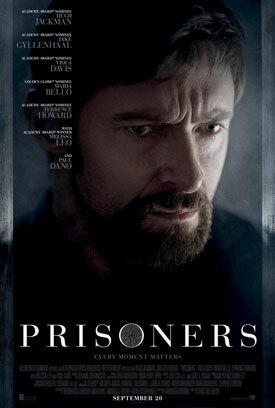 See the bonus features, movie trailers and posters for Prisoners below. The story revolves around a small-town carpenter named Keller Dover (Jackman) whose young daughter and her best friend are kidnapped. After the cops fail to detain the number one suspect (Dano), Dover decides to take the law into his own hands. When he crosses the line between seeking justice and becoming a vigilante, Dover runs up against Detective Loki (Gyllenhaal) assigned to the case. MPAA Rating: (R) for disturbing violent content including torture, and language throughout. 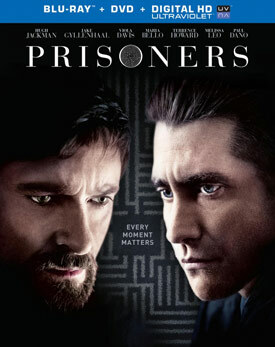 Prisoners – Every Moment Matters: Hugh Jackman and Jake Gyllenhaal explore the tense relationship between Keller and Loki. 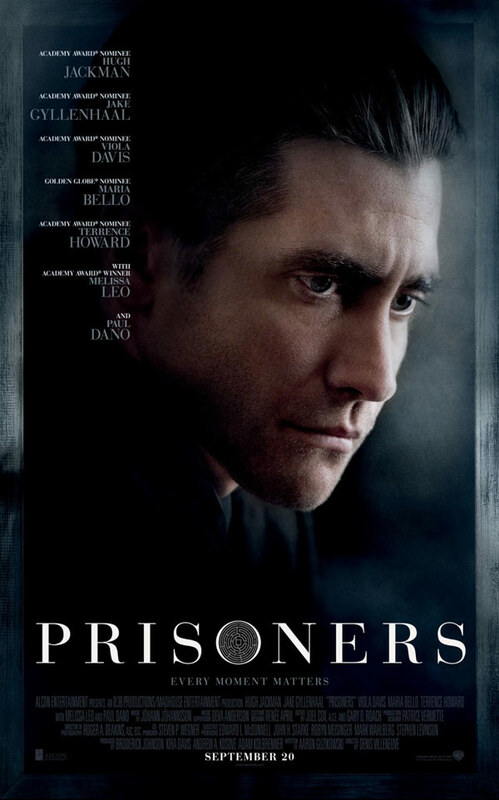 Prisoners – Powerful Performances: Get up close and personal with this all-star cast.